Following the release of he's sensational new LP: 'Seven Shades Darker', UrbanJazz Review's Sarah O'Donell, caught up with UK Soul-Jazz vocalist Ola Onabule to ask him a few questions about Life, Career and the Future. Q.1 Hi Ola, it's great to speak with you, how are you doing? Q.2 Well, first of all, aside from promoting your new album, what have you been doing over the last year? I've been immersed in a spot of film making. I've recently started to write and direct the videos for the lead songs off the album. I love it and I've come to see working with visuals as the missing piece to the jigsaw of creativity in my life! Q.3 I understand that this is your 7th LP, how did you first get into the industry? I started out playing in wine bars and restaurants often, but not always playing solo acoustic guitar and singing. This was while I was at University studying to be a lawyer. I didn't really think about becoming a professional singer and songwriter at the time, but knew that music was important to me. It wasn't until I met some pretty serious guys with huge reputations on the Jazz seen did I start thinking of ditching Law and making music my main gig (pun intended). Once committed I started thinking about recording a collection of my own songs. A few years and many ups and down's later I had recorded my 1st album 'More Soul Than Sense'. Q.4 Tell me about the Title of the New album, Why 'Seven Shades Darker'? The album is so titled because it's my seventh album and I'm not getting any younger and life throws up some very attention grabbing, frivolity mashing curved balls that easily force an easy-going dude such as myself into bouts of pensive speculation and self analysis. Q.5 What was your inspiration for getting into music, and which artist, most influence you, when you were growing up? Q.6 Do you feel that the recognition that you deserve has eluded you here in the UK? To be honest I find it hard to think of recognition as something I deserve, probably because I feel that in a way, my dream came true: I get to spend my life travelling the world singing my songs. Strangely enough although my largest following is not in the UK, it is my most loyal following with some people being a part of my story since my very first gigs many, many moons ago! Q.7 I understand that you spent some of your Childhood in Nigeria, what was it like growing up there, compared to the UK? Lagos, Nigeria, was loud, chaotic, challenging and disorientating whilst at the same time managing to be exciting, deeply spiritually enriching, musical and rhythmic, It was about unfeasibly large family gatherings, long hot nights of raucous parties and amazing food. Q.8 What kind of response have you had from fans towards the New Album? The response has been overwhelming with many (including the musicians that played on the album) telling me they think it is my best work to date! Q.9 What new projects do you have on the Horizon? I am working on a script for a short film/music video based on one of the songs on the album called Great Expectations. The song tells the story of a young man who escapes his war torn country to find a frosty reception in the country in which he seeks refuge. Q.10 What would you say has been the most memorable moment in your Career? I met my wife of the last 24 years at a gig! How's that for a most memorable moment!! Q.11 Besides here in the UK, where would you say you enjoy your greatest success? Q.12 Which artist have you had the fondest experiences working with? Ms. Gladys Knight, I didn't quite work with her, I opened for her on her London tour many years ago, she was so lovely and kind and generous, I had a crush on her as a youngster and there's nothing better than meeting your heroes and being further inspired by them. Q.13 Your music has many influences, from Soul, Jazz to Funk, to what extent has Jazz influenced you, and would you describe yourself as a Jazz Singer? Jazz was the thing to be into when I was studying Law at university, We made several trips to Ronnie Scott's, the 606 Club and beyond to see Herbie Hancock, Chick Corea, Joe Zawinul and Nina Simone amongst others. At the time I had no idea I would live my life as a musician. When I made the decision to become a singer my 1st inspiration for the sounds I tried to make were these guys and other giants of the Jazz world. I feel that the influences of my early childhood, the Soul, the Funk and the traditional Yoruba music are the instinctual side to my musicality whilst jazz is the structure and discipline within which I express these instincts. Q.14 Share with us some of your thoughts on the current state of Soul music today? Well to be honest I don't think the genre exists in it's purest form anymore, Not in the way that it did when Aretha Franklin, Otis Redding et al ruled the roost, but faint strains of it's influence can be heard in contemporary forms of Jazz and Smooth Jazz, RnB and American Gospel. I mean even the MOBO (Music of Black Origin!) awards took it off their list of awards about 5 years ago!! Q.15 Finally, what words of advice and encouragement would you give to any young people thinking of perusing a career in the music industry? Don't listen to anybody's advice on the matter. Not even mine. We're all making it up as we go along. That's why it's an art, not a science! Just get out there and do it with all your heart! 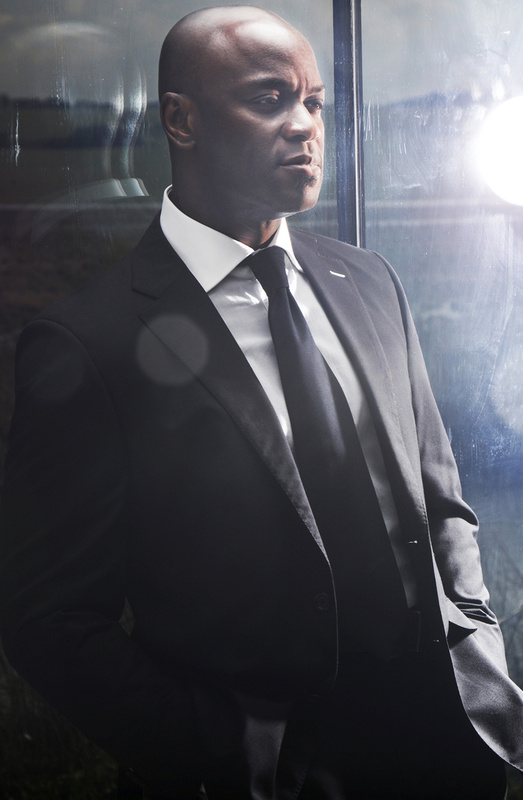 Q.16 Ola Onabule, it's been a pleasure talking to, thank you, and all the best for the future.